WaterFire Providence volunteers prepare to depart the dock before a WaterFire lighting. Photo by Erin Cuddigan. 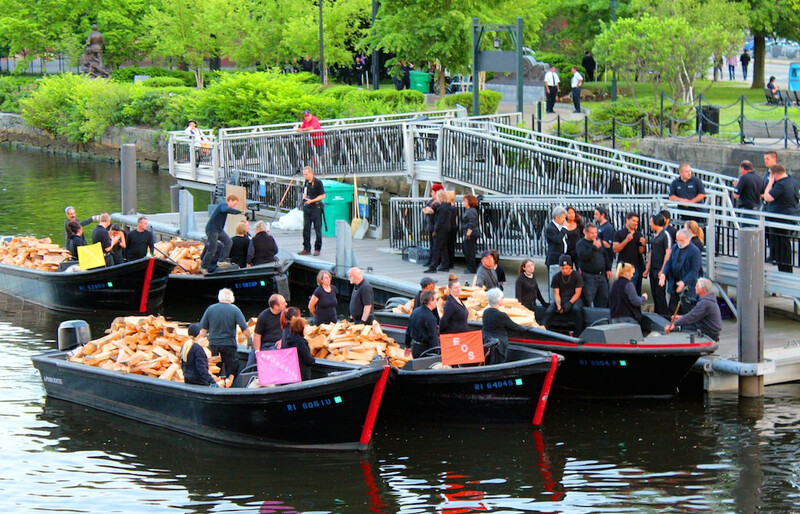 WaterFire Providence may only be a seasonal production, but to make it happen, we need volunteers year-round. For more information on how you can contribute your time, skills and talents, email our Volunteer Team. WaterFire Providence Volunteers are an integral part of the event. They assist in all aspects of event production, special projects and anything else we dream up. 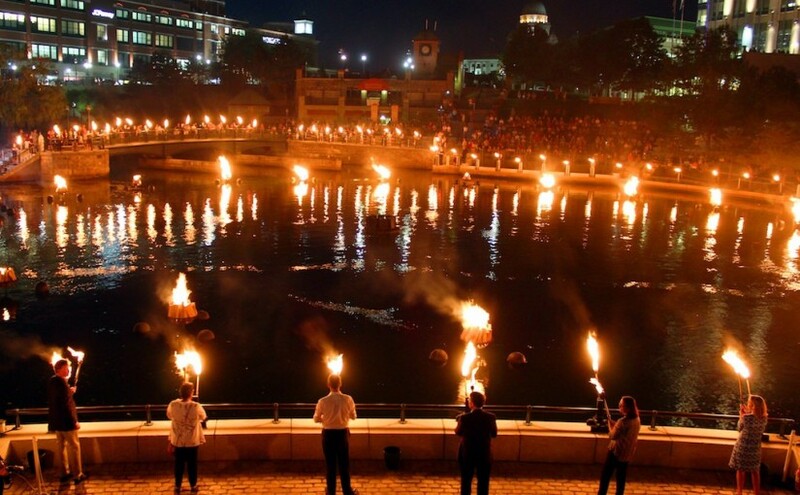 At any one WaterFire Providence lighting, we need at least 150 volunteers to contribute. Volunteers fundraise, research, data base sort, perform, construct, manage, inform, engage, and enjoy! WaterFire volunteers come from all walks of life, and we appreciate the diversity and talents that are among them. Over the years, a network of volunteers has been established, and we are delighted at the community that they have become. 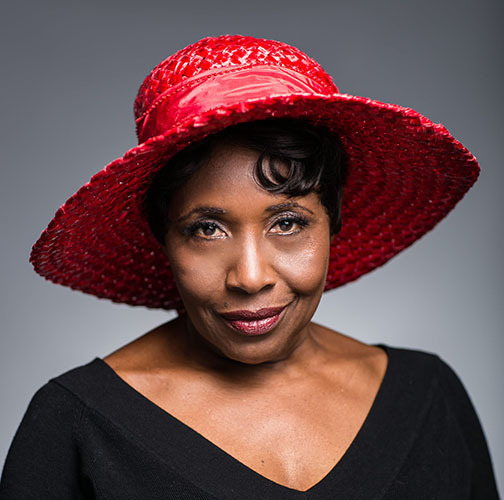 With almost 30 years as an actress, singer and playwright, Rose Weaver is the author of several plays, monologues and songs. She has performed on stage, TV and in films and has sung solo, with her own jazz ensemble and with pops orchestras. Dr. Weaver has an MFA in creative writing from Brown University and an honorary doctorate in fine arts from Marymount Manhattan College. Weaver is a recipient of numerous awards, including the Lucille Lortel Playwriting Award, the Pell Award for Excellence in the Arts, and the RI Foundation’s Antonio Cirino Memorial Fellowship and New Works Award 2001. She is member of Screen Actor’s Guild and Actor’s Equity Association and the American Federation of Television and Radio Artists. 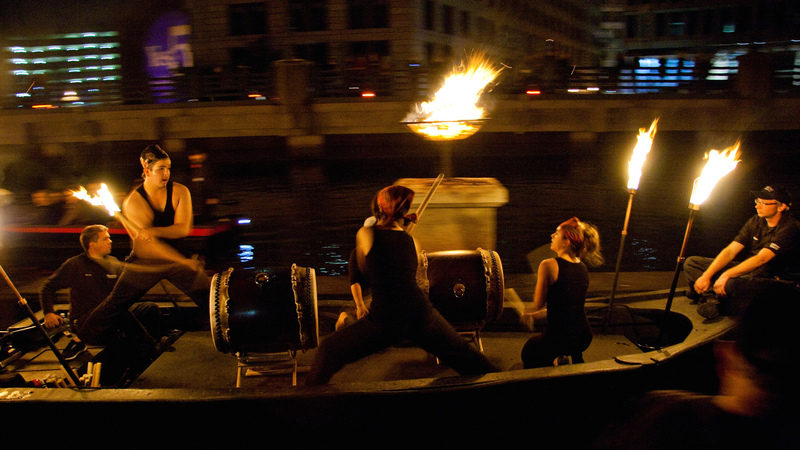 Gendo Taiko at WaterFire. Photo by Drew Christhilf. One of the earliest collegiate Taiko drumming groups established on the East Coast, Gendo Taiko was constituted at Brown University in the Fall of 2004 by Raiki Machida (Brown ’07) and Joshua Goldner (Brown ’05). Initially dubbed Brown Taiko, Gendo’s musical styles were originally based on those of Wadaiko Gensou, a semi-professional Taiko group based in Miyagi, Japan, with whom Machida had trained extensively. In the summer of 2006, Goldner and Machida hosted Wadaiko Gensou’s founding members Takao Handa and Satoko Nambu at Brown University to expand the group’s repertoire, hone its members’ techniques, and build a new set of drums. As the group grew in membership and developed its own unique musical styles and arrangements, it adopted a formal audition process, developed a Group Independent Study Project (GISP) to explore the history of Taiko, and is now in the course of developing a well-structured program of study for its members. Episode 28 – Broadcast: May 20th, 2015 | Featured image by Erin Cuddigan via WaterFire Providence on Flickr.